With a 6000lb capacity and wide circular base for maximum stability, ESCO are the only stands you're going to want to have in your garage or at the track! 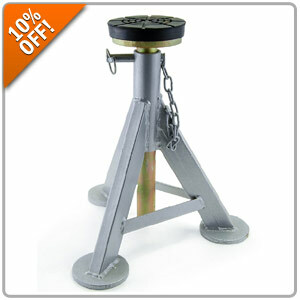 Take 10% Off all ESCO jack stands when you enter Promo Code ESCO10 during Checkout. Offer Valid: August 15, 2018 to August 29, 2018. CLICK HERE to redeem this discount!